A number of years ago when I was principal of a school in Atlanta, l traveled to New York for some school business. In a New York hospital was a graduate of our high school receiving treatment for a life-threatening illness. My schedule was tight and I weighed in my mind whether I would have time to visit him, finally deciding not to visit because of the difficulty in making some scheduling adjustments. A few weeks later, the student died. Twenty years later, I still feel remorse for not having paid that visit. Jewish tradition tells us that when an opportunity for a good deed, like visiting the sick, comes your way, you should not take a pass. Rather you should do whatever it takes to do the good deed, even if means sacrificing more time or inconveniencing yourself. 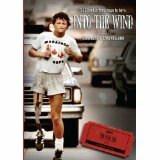 I was reminded of this as I watched Into the Wind, a very stirring documentary about Terry Fox, a young man who at age eighteen was diagnosed with a malignant cancer and had to have his leg amputated. Three weeks after the operation, Terry was walking with the help of an artificial leg. He underwent months of chemotherapy at the British Columbia Cancer Control facility and watched fellow patients suffer and die from the disease. Witnessing such tragedy gave Terry a sense of purpose: he wanted to dedicate his life to funding cancer research so that other people would have hope and courage. After reading an article about the first amputee to complete the New York City Marathon, Terry was inspired to begin a run across Canada to raise money for cancer research and cancer awareness. His Marathon of Hope began on April 12, 1980, when Fox dipped his right leg in the Atlantic Ocean. Heavy rain, strong wind, and a snowstorm plagued the first days of his run, and few people were aware of his effort. Soon, however, more and more people learned about Terry and greeted him along the way with contributions. He became a hot news story and was interviewed on many of his stops. Unfortunately, Terry never finished his run. Completing two-thirds of the journey across Canada in 143 days, the cancer had metastasized and new tumors were found, forcing him to end his Marathon of Hope. Terry Fox’s story is one that reminds us of the value of time and good health. The rabbis of the Talmud comment: “If not now, when?” It is an exhortation to make the most of every available moment and not to waste an opportunity to do a good deed. My teachers impressed this life lesson on me during my college years and I have tried to actualize that message in my life. As I get older, I realize more and more the holiness of a moment. In a second, I can do something which may have a ripple effect into eternity. That is the measure of man: how he uses the gifts of time and good health that God gives him. That is the legacy of Terry Fox, who taught people to use time wisely by using it to improve oneself and the world. It was a message imbibed in the spirit of all those who knew him. What made this film especially memorable were the comments of friends and family who knew Terry and who spoke to him in the course of his run. Their love and admiration for him were palpable. The movie was made in 2010, several years after Terry died, but the tears were still flowing when evoking his memory. His legacy is one of hope and courage in the face of adversity. His message to all of us: treasure time and use wisely the minutes that we possess. Purchase this movies from Amazon.com. Posted in Documentary, Family friendly, Movie review, Sports and tagged family friendly. Bookmark the permalink.